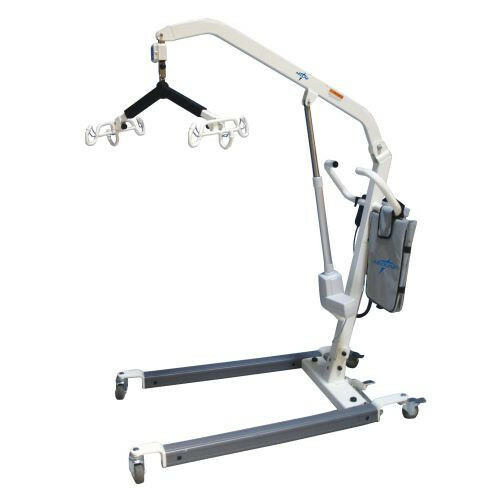 The Medline Electric Patient Lift is no different, offering caretakers the ability to safely and easily lift a up to 600 pounds. With nearly every aspect of the lift able to be operated via electronically, this electric patient lift is operator-friendly and easy to use. 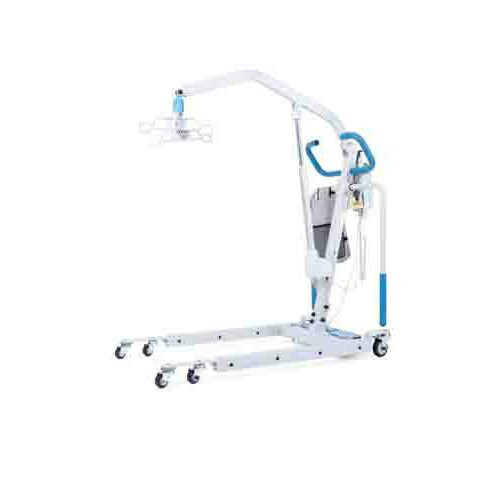 The Electric Patient Lift by Medline Industries uses a dual-battery system for its electronics, allowing you to charge one battery while the other is in place and ready to use. At the base, well-protected caster wheels are attached to the legs and operate with a simple foot pedal. You can narrow and widen the base to the size you need without overexerting yourself. The base is also very low to the ground, allowing caretakers to easily slip the base under a bed or chair so you'll be in a proper position for using the lift. Operating the lift is simple as well. 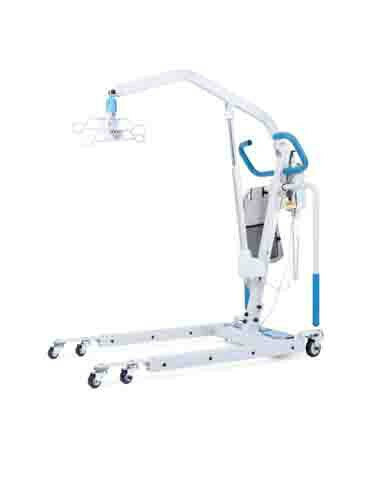 Push-button controls allow you to lower the patient lift to the proper level before lifting. The Patient Lift has the best flexibility available as it can go all the way to the floor to pick up a patient. For lifting a patient, a six-point sling cradles the patient in order to support all the necessary joints for lifting. This assures they won't be in an uncomfortable position during the lifting process and they'll be in the safest position necessary for a proper lift. On a full charge, the battery has enough power to perform between 80-100 lifts. Dual-Battery System Electronics For Easy, Convenient Charging. Base Legs Spread With a Reliable, Easy-to-Operate Foot Pedal. Low-Profile, Base Legs Move Under Beds and Other Furniture. 6-Point Sling Provides Flexibility For Comfort and Safety. Available in 400 and 600 lb. (181 and 272kg) Versions. 24V DC Battery Voltage. 80-100 Average Lifts Per Charge. 3-year Warranty For Components, 1 Year For Battery.